I promised I’d try to do better by African American women in the literature department. And in the process, I seem to have rediscovered an incredibly powerful voice that for me may end up a star in my personal galaxy. I’d seen the movie of Zora Neale Hurston’s Their Eyes Were Watching God and also read various bits of her writings over the years. But pondering her this year brought a deeper realization of just what powers of description — both of nature and of the inner human terrain — she uniquely possessed. 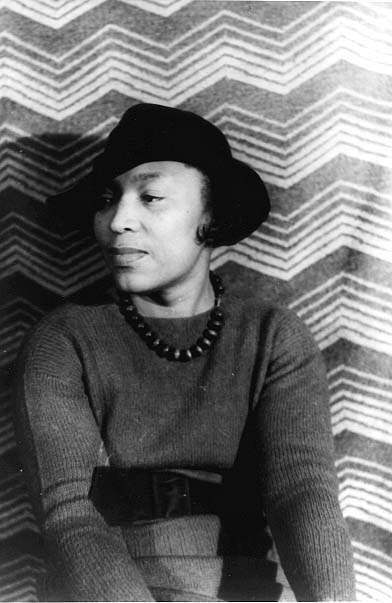 * A short but good biography of Zora Neale Hurston. * More on her probably most famous novel, Their Eyes Were Watching God. * And the 2005 movie (by the same name). And… here’s my pathetic little homage to her. In it I attempted to borrow some of her own images and reflect them very imperfectly back. Both as sharp and true as swords.